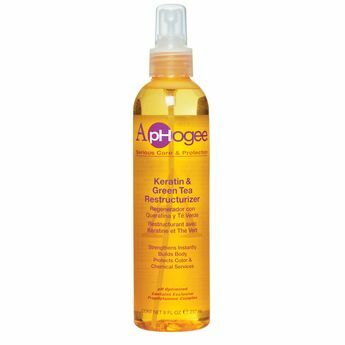 ApHOGEE Keratin and Green Tea Restructurizer is the ultimate one-step strengthening treatment. This one step formula combines the strengthening properties of keratin protein with the antioxidant benefits of green tea. This restructurizer helps reduce breakage and split ends and adds body to limp, lifeless hair. Active ingredients bond into the hair shaft with natural body heat or heat from styling tools.